This is the fastest, most responsive retail security communications system, designed and tested in full consultation with WEST MERCIA CONSTABULARY. SHOPLIFTING IS not a petty crime. It costs retailers around £3 billion a year. Fighting the problem can be an uphill struggle. Hard-pressed store staff are not just up against "traditional" shoplifters. They increasingly face well-equipped, fast-moving, professional thieves working in teams. But if stores also work together, they can hit back at the parasites. * By monitoring the shoplifters. * By making sure that every store in the area is aware of which criminals are on the prowl, what they look like and where they are. * By letting centralised security staff/or police know exactly what is happening minute by minute. * By ensuring that criminals are tackled effectively with stolen goods still in their possession and with less risk of them running away or assaulting store staff. Town centres protected with a SHOPWATCH Scheme become a place where crime doesn't pay. Shoplifting professionals will go elsewhere to find "soft" targets for their activities. It works as an intelligence system, not as a police alert facility. It cannot be used in place of 999 calls, police alarm lines or other emergency arrangements. However, if a suspect is apprehended or if help is needed urgently a call on the SHOPWATCH scheme can be used to alert all network users. This gives peace of mind to staff who can easily feel isolated and outnumbered by criminals. It also encourages everybody running town centre businesses to work together to make their town a safer, wealthier and more relaxed place. A place the criminals who prey on honest business people will be avoided. Combating shoplifting is the main function of the SHOPWATCH Scheme, but it is also highly effective against other forms of crime like card and cheque fraud, vandalism and violence. The scheme gives instant communications offering other benefits, from broadcasting information on bomb scares, fires and lost children. The Pubwatch Schemes can be used to track known offenders and prevent them access so that others can enjoy themselves knowing that they are safe. A small pocket radio set gives instant, clear access to a communications network across a town. This system must not be confused with the cheaper and short range radio scheme and offer poor range and security. 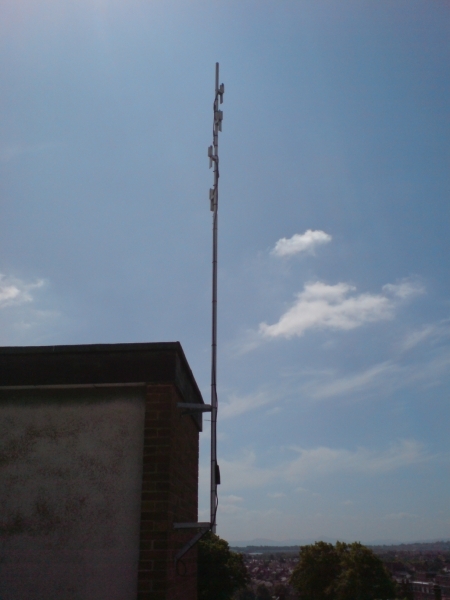 Our schemes use a base station relay, boosting signals to all parts of the town centre, including basements in screened areas. Sets can be carried by store detectives, security officers and shop assistants. Smaller stores can keep a set behind the counter. Any message broadcast from a set that suspects thieves are active can give a description which will be heard by others on the net. Shopping centre security personnel or police officers monitor the network at all times. They can, in turn, broadcast back messages to other users. This allows pubs and clubs to trace known trouble makers. When a person or persons have been banned the doorman can alert other users on the scheme so that they also get barred. This scheme was created for any envent such as carnivals, football matches, Christmas light envents etc, that are short term. Pubs, shops and other places who are not members of shop or pub watch can use a radio, and keep in contact with CCTV, police and other town centre security without blocking channel activate from the shop/pub watch schemes.